A southern African safari may be an exciting adventure for adults but for kids it may mean long hours in a hot vehicle and boredom. Why are they bored you may ask yourself, after all they have pleaded with you to come on a African Safari because they want to see a real live Zebra, just like the character in the movie Madagascar. "when are we going to see a lion?" or "when can we go swimming?". With a family self-drive safari you can have your own itinerary (flexibility is the key element when you have children! ), you don't need to worry about your children annoying anyone around you and you have the freedom to go back to camp or to stop when the need arises - like when you see a large boulder that looks like a rhino! You can keep your drive short and sweet, which means go out early in the morning before it gets too hot and stop off at a picnic site for a family breakfast. This gives the children time to stretch their legs and get rid of that built-up energy. There are plenty of options on a self drive safari that could end up being a once-in-a-lifetime thrill, like letting your children make the braai for dinner or allowing them to cook their own meat on the braai, taking walks around the camp at night looking for the bush babies, owls, and genets or sitting at the waterholes and hides and waiting for the animals to come and drink. Our five favorite southern African national parks, the Kruger Park, Kgalagadi, Madikwe and Pilanesberg in South Africa and Etosha in Namibia, are great for child friendly safaris. They all have so much to offer, like comfortable family accommodation that is value for money and many picnic spots to stop at. After all you now have to budget for the whole family and it could end up being expensive if you don't do your homework. Do your Safari planning properly and you and your children really will have the holiday of a lifetime. These five parks give you some of the most exciting options available for child friendly safaris and an unforgettable adventure. 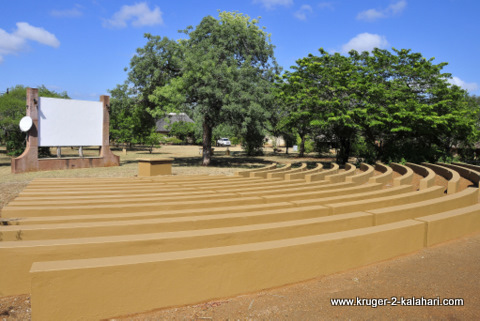 The Kruger has 12 main rest camps that are all child friendly. 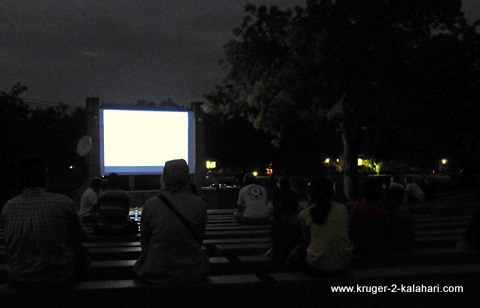 If it rains there won't be a film show in Satara but some camps, like Skukuza and Mopani, show the films indoors. 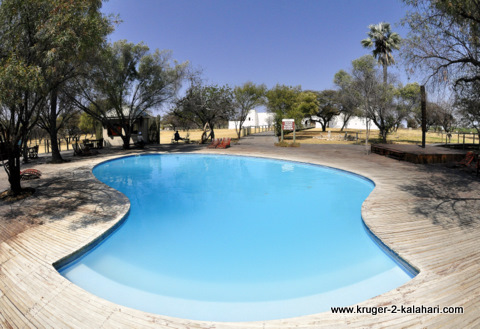 Not all the camps have swimming pools while some, like Skukuza, have two pools because the camp is so large. Olifants and Crocodile Bridge camps do not have swimming pools. Some of the camps, like Punda Maria, have a hide within the camp. Berg-en-Dal, Punda Maria, Mopani, Pretoriuskop, Skukuza and Letaba have lovely walks within the camps where you can see insects, reptiles, birds, trees, wild flowers and small mammals. 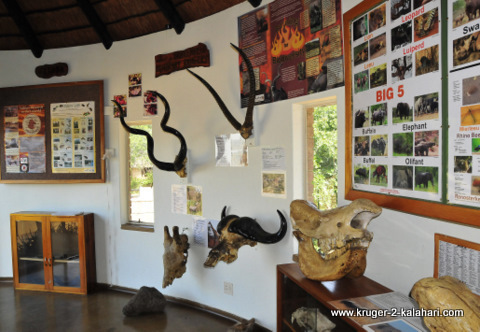 Letaba camp has an Elephant museum that is well worth a visit as it shows you the story of the Magnificent Seven Elephants and other big Tuskers of the Kruger. 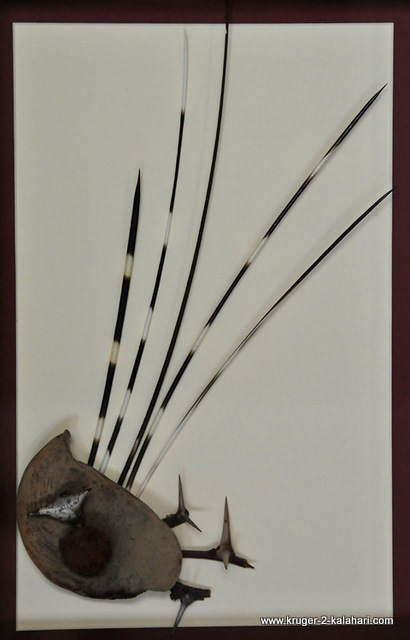 Their tusks are on display with all the information about the elephant's life. There are also resident bush buck in the camp that are very friendly and could entertain your kids for at least an hour. In addition to the two swimming pools there are two fish ponds, a large shop that sells toys, books and other novelties and a restaurant overlooking the Sabie River. 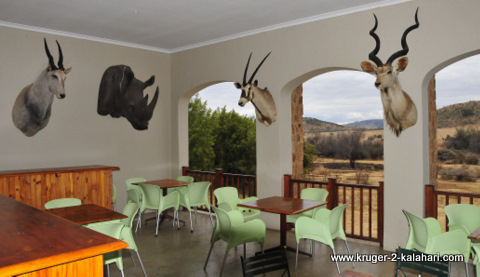 Berg en Dal camp has an animal display at the reception that contains a life-size black rhino. Olifants camp offers mountain bike rides and river walks for the older, more adventurous children. Mopani camp has a conference centre where the honorary rangers often have displays of animals including live snakes! 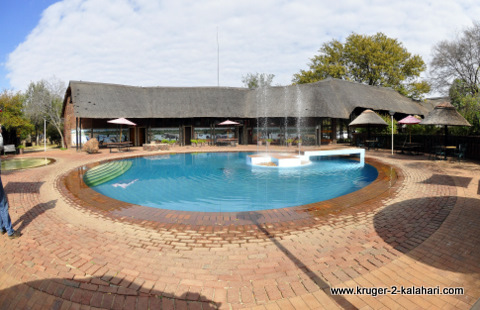 The five bushveld camps all have hides, walks and Shimuwini has a swimming pool. 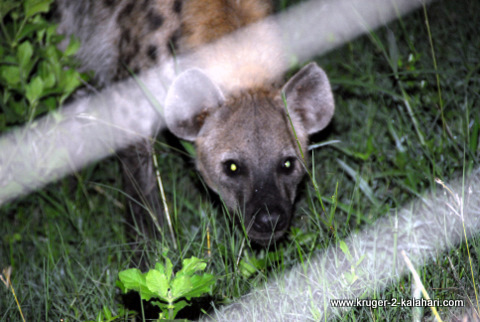 The Kruger has many different and exciting animals that come out at night. In addition to the hyenas that patrol the fences listen for the screeching of bush babies and the hoots of owls. Not all animals are noisy so use your torch or flash light to search for the green or yellow eyes of animals shining in the dark. In summer keep a look out for incredible insects that are attracted to the lights around the bungalows. 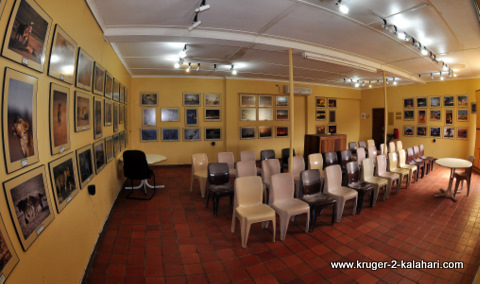 Parents who are photographers will get amazing Macro photography opportunities in the Kruger. Involve your kids in looking for subjects and maybe you will inspire your children to take up nature photography in the process! and children's play areas and so are all great for child friendly safaris. Manyane has a sand pit, Jungle gym, swings, trampoline, it also has a mini golf course and walk-in bird aviary with different species of indigenous birds. 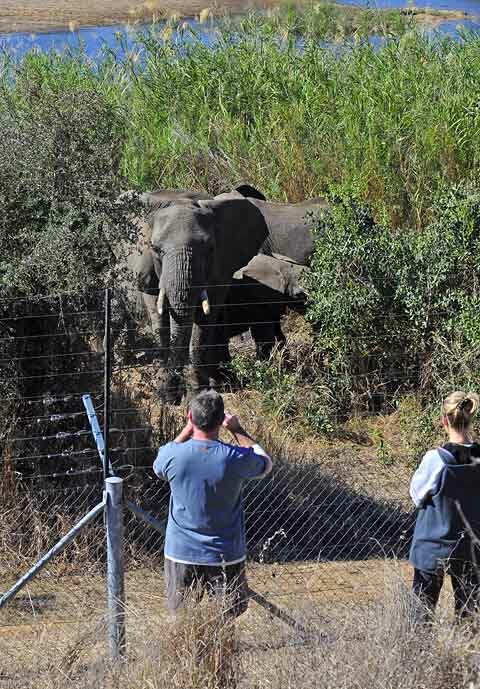 Manyane also has a lovely walk that the whole family can do inside the fenced camp. Kwa Maritane has a underground hide that is within the camp and there is tennis and volleyball courts. 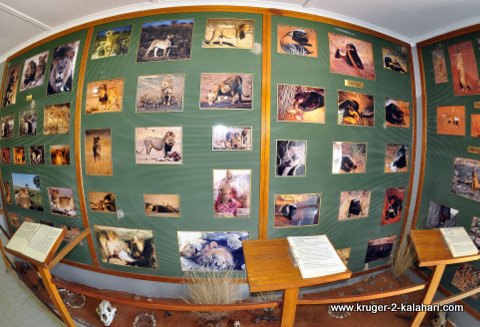 The Pilanesberg centre is a nice place to stop off as it has a restaurant that overlooks a water hole and the kids can be entertained by the animals coming down to drink. Both Bakubung and Kwa Maritane Bush Lodges allow parents to enroll their kids in a 'Junior Rangers Program'. This program has unique, educational and fun activities that are geared around natural resource protection, environmental education and responsible recreation, offering a special opportunity to explore the Pilanesberg National Park. The activities are appropriate for children between the ages of 6 years and 12 years old and aim to encourage an appreciation for nature, conservation and natural resources. Pilanesberg also offers the opportunities to go up in a hot air balloon or take an elephant-back safari into the bush (children must be at least 5 years old). 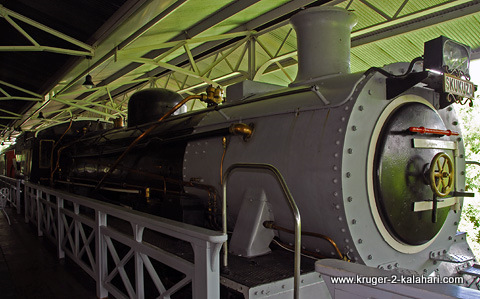 The Pilanesberg also has Sun City right on its door step so if the kids are tired of game watching then whip them off for some fun at Sun City's valley of the waves or at the Crocodile farm. 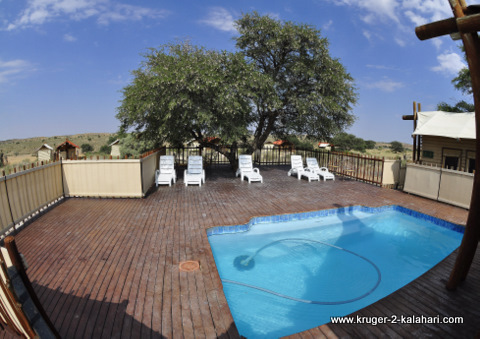 The Kgalagadi has three main camps, Twee Rivieren, Mata Mata and Nossob and they all have swimming pools for the family to cool off in. Mata Mata and Nossob camps have hides with in the camps, which can provide great day or night time fun for the kids. Walking around each camp can also be rewarding as there are lots of birds, squirrels, reptiles and insects to entertain the children. The six wilderness camps are unfenced so would not be safe for small children. Even though there are gates at each unit a small child may unlatch it and get out - unless you are watching them constantly. We therefore suggest only children over twelve years of age stay with you at these wilderness camps. and large areas for children to run around. The park is well-known for its waterholes. Each of the three main camps has one and you can sit throughout the day and watch procession after procession of game coming down to drink. You can even sit through the night as each waterhole is floodlit. We have seen leopard, lion, black rhino and elephant at the Okaukuejo and Halali water holes at night. The children can walk around camp during the day looking for birds and insects or at night with their flash lights looking for the nocturnal animals. Jackal come into the camps at dusk to see what they can find to eat. The resident squirrels and mongoose are quite entertaining for both adults and children. The three Etosha camps have information centres but unfortunately they are not very impressive and will not keep a child entertained. Most lodges in Madikwe are fenced and have a games room where small children can watch TV or play games while the parents relax or go on game drives. 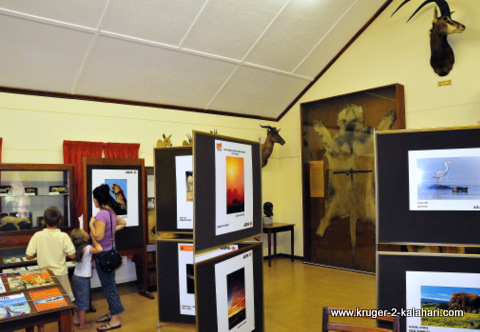 Four parks have sighting boards or sighting books, so introduce your children to the sighting boards at Kruger, Kalahari and Plianesberg or the sighting books at Etosha. They can pin up what animals they have seen during the day or write a short message about their sightings in the books. This also helps you when you want to go for your game drive, you can see where the animals were last seen and plan your self-drive around the sightings. The parks also offer morning or evening game drives but please note that children under the age of six are not permitted to go on these game drives for their own safety. In Madikwe there are no sighting boards, except at Madikwe River Lodge, as there is no self-drive, only guided game drives. Child friendly safaris should also be safe safaris. Children's safety is a big concern for parents on Safari, so as parents you don't want your kids becoming too friendly with the local troop of Baboons, a scorpion or a snake that has just made its way into the camp or into your bungalow! Please share the dangers of the bush with your kids without scaring them too much because you also want them to have fun and be relaxed - when your kids are happy you tend to be happy! •	The Kruger park is a high-risk malaria area especially in the summer months so we suggest visiting the Kruger in the winter months (June - September) if you have a toddler. Etosha is intermediate risk, the Kgalagadi is low-risk (we have never even seen a mosquito in the Kalahari even in summer) while the Pilanesberg and Madikwe are malaria-free. We have been visiting these parks since 1995 during all four seasons and we have never contracted malaria. Please keep in mind that not all mosquitoes carry malaria. We took anti-malaria medication the first year we visited the Kruger but it made us feel nauseous so we decided not to take it but to watch for the symptoms (fever, headache, chills and muscular pain). If upon returning home we had any of these symptoms we simply went to our doctor who took blood tests to check for malaria. We do, however, suggest you speak to your doctor about this. •	Don't feed of the animals and don't get too close to them - they may look sweet and cuddly but they are wild animals and they bite! 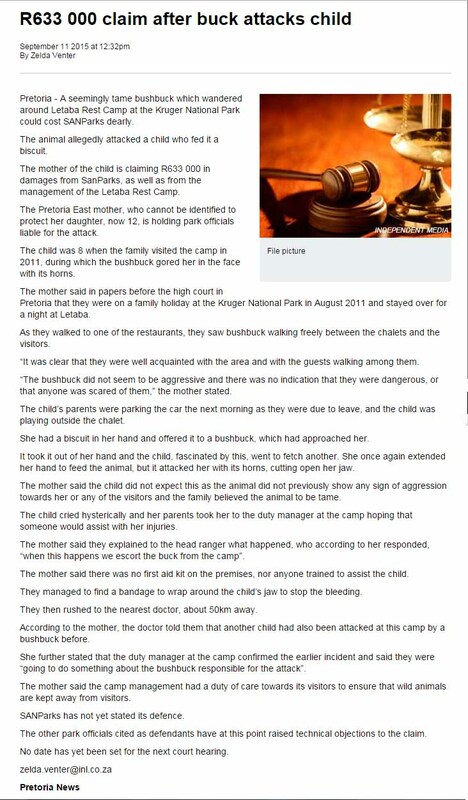 In June 2010 the Phalaborwa Herald newspaper ran a story entitled 'Staff could not help after hyena attacks baby'. The story went on to describe the incident where a 20-month old boy put his hand through the fence at Balule camp to pat a hyena and the animal grabbed his hand but then let it go when the parents shouted at it. We are sorry that the boy was attacked but parents have a responsibility to watch their children, especially when they are so young! The other amazing thing is that the camp staff were unable to assist medically. There is a doctor at Skukuza camp but that is a 2-3 hour drive - you would think that every camp would have some person who could treat bites and other accidents. Please don't let these articles put you off coming on an African Safari. The Kruger Park alone gets over 1.6 million visitors each year and these are just two incidents in a 5-year period where, I think, the parents could have prevented these unfortunate attacks. Half the appeal of a safari is the fact that you get to see animals in their natural environment. You just need to be responsible in looking after yourself and your children - no different to you crossing a busy road in a big city! One last word of warning - if the safari bug bites your children they will want a camera for their next birthday and they will beg you to take them on more African safaris! We hope that this has given you some insight as to what these 5 national parks have to offer in terms of child friendly safaris and we look forward to seeing you at one of these parks soon.